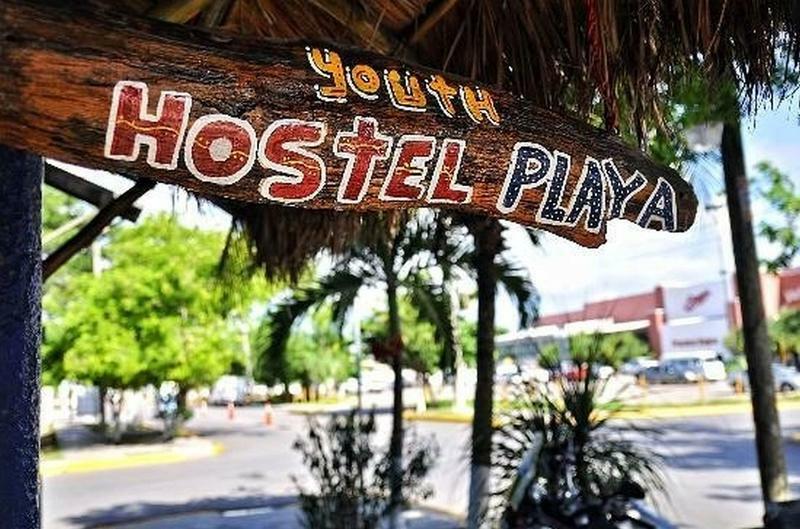 Hostel Playa, Mexican-owned place opened since 2002, is an excellent hostel well adapted to respond to all travelers needs, offering a wide variety of services at reasonable prices for backpackers and independent travelers world wide. Breakfast buffet included (tea, fresh coffee, Granola, bread, nutella, peanut butter, fruits and more), good mattress with sheets provided, one fan per bed, FREE Internet & WIFI in all the hostel, FREE lockers one per bed, FREE BBQ area, FREE activities, nice living room with movies, TV cable and books, FREE USE of the full equipped kitchen, swimming pool in the garden, chilling area with hammocks, FREE table games and XBOX 360 coming soon ! We are located in the heart of all the main activities of Playa del Carmen can offer you (5 minutes walking from the beach), in front of the Wal-Mart. 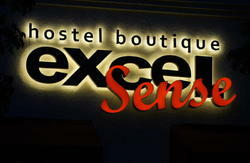 This hostel down town is a safe, convenient place to explore and enjoy Playa del Carmen. 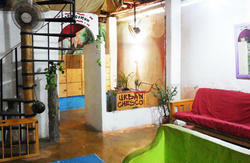 The indoor and outdoor common areas really make the hostel a relaxing, friendly, enjoyable and ideal place to stay. Upon leaving the bus station turn left on 5th avenue (la quinta avenida). 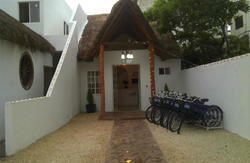 Follow 5th avenue for 4 blocks until you arrive at calle 8 (street 8). At calle 8 turn left and continue walking straight for 4 more blocks until you reach avenue 25. We are the blue building located on the corner of the avenue 25 and calle 8 (opposite Wal-Mart).